Trump Abruptly Cancels G20 Meeting With Putin - Joe.My.God. 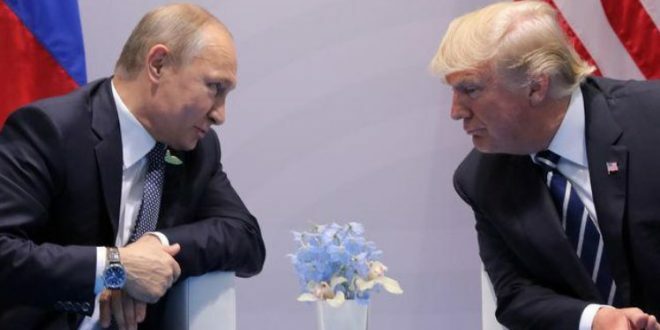 President Donald Trump on Thursday cancelled his planned meeting with Russian leader Vladimir Putin at the upcoming G-20 summit in Argentina. Trump blamed the cancellation on the failure of Russia to return ship and sailors recently seized from Ukraine. But the announcement of the scuttled meeting came an hour after he told reporters that he would probably meet with Putin there, and two hours after Trump’s ex-lawyer Michael Cohen pleaded guilty to lying to Congress about the president’s involvement in an aborted real-estate deal in Moscow.